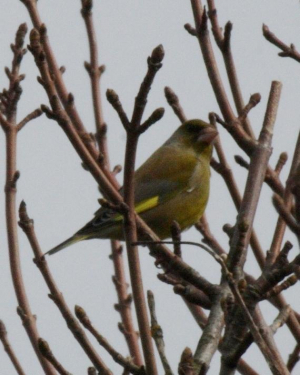 Observation - Bird -Greenfinch - UK and Ireland. Description: A strong wind kept whipping the branches across the focus spot, so not a very good image. A strong wind kept whipping the branches across the focus spot, so not a very good image.